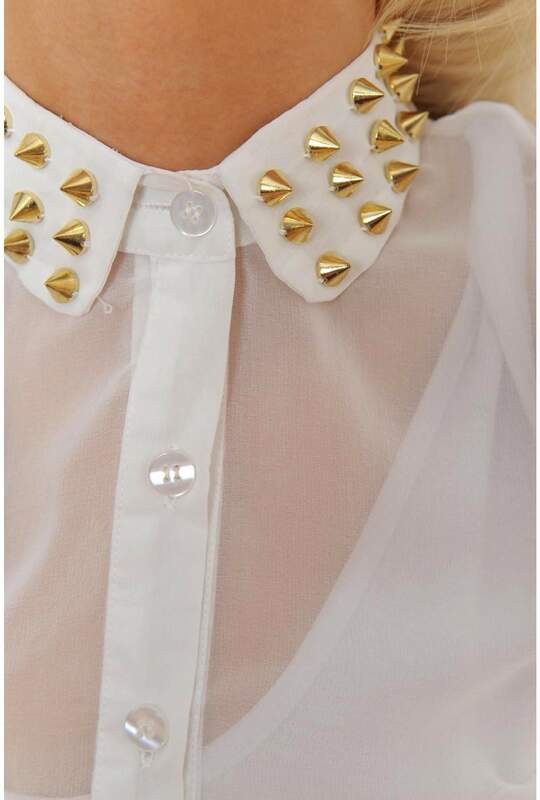 Sheer shirt with edgy stud detailing to the collar. Featuring a button through front, long cuffed sleeves, twin front pockets and point collar. Wear over printed leggings or tucked in to your favourite high waist jeans.